So, I have mixed feelings about A Bound Heart. On the one hand, it’s a rather well-written story (especially for a Christian historical romance) with some good characters, but on the other it took me a while to slog through it and there were some characters I didn’t appreciate. To begin with the good, I really liked the main character, Lark. She was refreshingly unique for the Christian historical romance genre. She has an actual job (tending beehives and growing herbs) and is quite courageous throughout the whole story. I feel like this would have been a better book if it focused on her and didn’t try to stick in romance. Larkin was a dear – one of the few authentic, non-cloyingly-sweet babies I’ve read about. 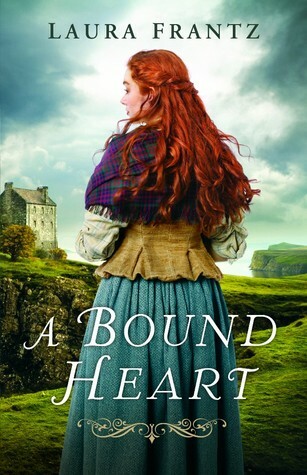 Overall, A Bound Heart was a well-written story with an atmospheric portrayal of Scotland but some annoying Christian romance cliches. OH MY WORD. MY HEART. I CAN’T. This book drew several tears from me. 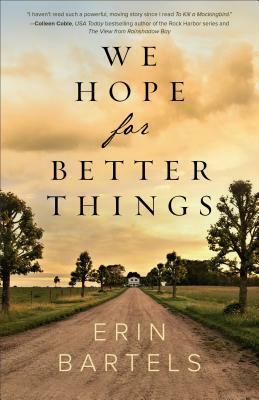 On the cover it was compared to To Kill a Mockingbird and while it’s quite a different story and not as good, We Hope for Better Things is one of the most beautiful novels I’ve read in a long time. The writing is crystal clear, engaging, and evocative. The story was a bit reminiscent of a Lynn Austin book because of the multi-generational thing, but more serious. Books that deal with racism always grip me and this one was no exception. There are many hard things and many heartbreaking things…but many wonderful things as well. Through the three couples – Mary and George, Nora and William, and Elizabeth and (oh, man, I forget his name and it’s awful of me) ?Tyrese? – you get three incredible stories (though I definitely don’t agree with the choices Mary and George made). Each of the characters became dear to my heart. My only complaints about We Hope for Better Things were that sometimes it was hard to keep track of who was related to who and it seemed like the book ended with a rather large unanswered question…but it doesn’t look like there’ll be a sequel. Still, I adored this book. Highly recommended to those who enjoy well-written historical fiction. Have you read either of these novels? What did you think of them? Ha, I know what you mean about being written by a woman. I’m reading a lot of comic books right now, and you can tell which ones were CLEARLY written by men, for men. Ugh. Glad you found a book you could be excited about! It’s pretty annoying, isn’t it? Though I don’t typically find guys’ portrayal of female characters annoying… Hmmm. You find male authors’ portrayal of women annoying? Tbh, there was this one book I read where the male author’s portrayal of teenage girls was infuriating. But there’s this other male author – Jack Cavanaugh – who’s FANTASTIC at writing from a woman’s pov. There’s some comic books with, um, /interesting/ character or costume designs. I try to steer clear of those, but they’re out there. Haha! Yeah! I’m trying reallyyyyyyyyyyyyyyyy hard not to become one of those “women authors who writes Perfect Guys” because it annoys me massively whenever other authors do it. Flaws, people! Flaws, flaws, flaws! Yeppers. Same for the women 😀 ALL THE FLAWS.